Since 1980, Mr. Donato has represented individuals and corporate entities in complicated criminal cases in both State and Federal Court. He is a member of the American, Pennsylvania and Delaware County Bar Associations, the Association of Trial Lawyers of America, the Pennsylvania Trial Lawyers Association, and holds an A-V rating from Martindale-Hubbell. He was a founding member and past president of both the Delaware County and Pennsylvania Associations of Criminal Defense Lawyers. 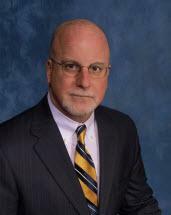 Mr. Donato was privileged to serve on the Pennsylvania Supreme Court Criminal Procedural Rules Committee from 1992 to 1998. He is a Fellow of the American Board of Criminal Lawyers, Fellow of the American Bar Foundation and a Fellow of the American College of Trial Lawyers. Mr. Donato was awarded a Bachelor of Science in Economics from Villanova University in 1977, a Juris Doctor from the Delaware Law School of Widener University in 1980, and was awarded a Master of Arts in Philosophy from Villanova University in May of 1990, during which time he concentrated his writing in the field of Ethics and Personal Responsibility. Since 1981, Mr. Donato has been a visiting lecturer at Villanova University speaking on "Use of the Insanity Defense in Criminal Prosecutions" and currently is an instructor in the Sociology and Criminal Justice Departments teaching "Sociolegal Aspects of Criminal Procedure" and "The Supreme Court and its Influence on American Society". Mr. Donato frequently lectures at continuing legal education seminars, speaks to community organizations, and testifies before legislative bodies on a variety of criminal justice issues.